Jen is an expert at developing people and solving problems. 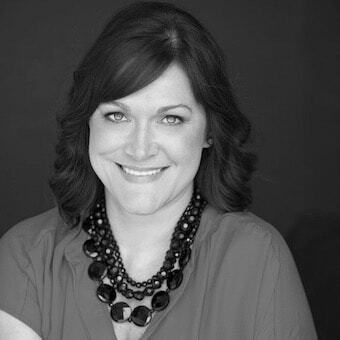 With over 20 years in business and a variety of industries served, Jen brings a broad and deep perspective to all professional interactions allowing for fast, innovative solutions. As a SME in 21st Century organizational cultures and leadership models, developing high-performing teams, and generational literacy. A Deloitte alum, Jen has worked on and led large-scale projects in M&A, PMO, Process Improvement, Workflow Engineering, and Executive Coaching for large organizations, including large healthcare systems in the north and south east. Find out more about Jen and LDR21 by checking out their website. Or follow along on Twitter, Facebook and LinkedIn. 1. What drew you to the profession you’re in? I love helping people become their best selves as well as solving problems. When I started coaching my employees while at Deloitte, I strongly realized I needed to pursue ways to do it on my own. Consulting is a great fit as it is all about solving problems for others and comes with the opportunity to develop people and teams with my focus. 2. Can you share a little about the book you’re writing and what that process is like? The book is focused on Generational Literacy and how to manage a multi-gen workforce. It will speak to those already in and to those entering the workforce to understand the influencers of thought for the four working co-hort groups. Ultimately, it will provide new mindsets and perspectives so communication and work product improves. The process currently revolves around a lot of strategy planning – I use large post it notes to plan each set of steps needed. Also, tons and tons of research which is then getting organized into a massive spreadsheet. Intense is a good word for this effort! 🙂 My initial intention was to make it a simple e-book, however, after pitching it to several trusted sources I’ve been persuaded to go big. See, intense. 3. What is one of the biggest a-ha’s you could share regarding multi-generational issues? Taking a moment to understand the external influencers that shape us all during certain times in history really does open your perspective to understand a generation. Knocking Gen Z for being on the phones or using social media isn’t fair. Understanding that they are globally connected is important; knowing that use of Snapchat and Instagram showcased their ability to tell stories; that they have never known a world without an internet and access to real time information; and growing up in a post-9/11 world and during the Great Recession has shaped the way they see business and the workplace. This generation has a strong desire to work very hard, yet on their own terms, as they seek security financially and professionally. 4. How did you learn about Roam and what makes Roam a fit for what you do? I attended an event at the Dunwoody location and decided to take a deeper look into Roam. What I found was that it fits me very well. I enjoy the environment and work space immensely; anyone I bring in to the space is impressed; and I consider the Roam team my main reason for being here and staying. I also consider the Roam team an integral part of my team. And, let’s be honest, having access to free parking is a bonus!! 5. If you won a free vacation trip to anywhere, where would you choose to go and what would you do there? Scotland. I would take my Dad with me to explore our ancestral lands. We come from an ancient clan and would both love to dig more into our history. Also, to see the beautiful countryside would be inspiring I think.